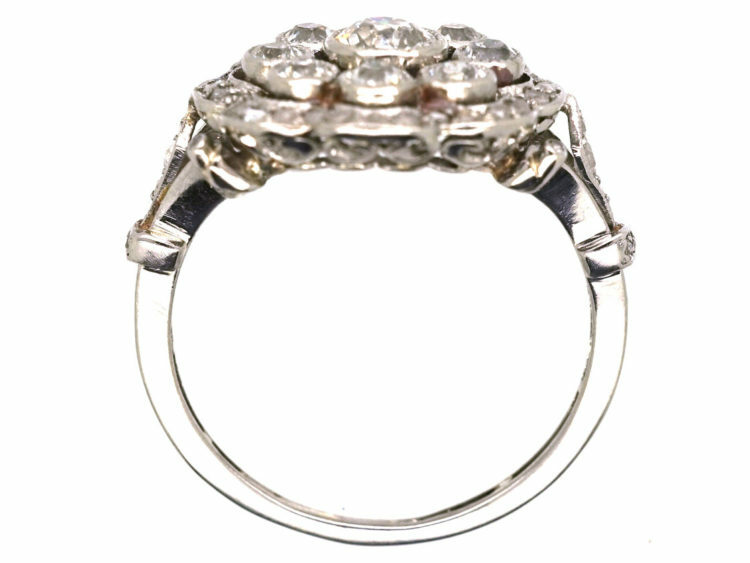 This is a stunning platinum ring. 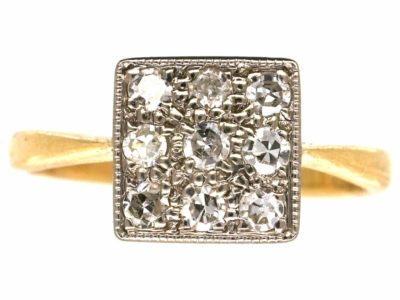 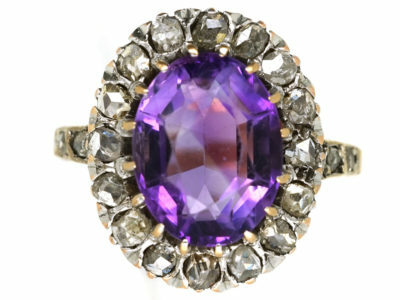 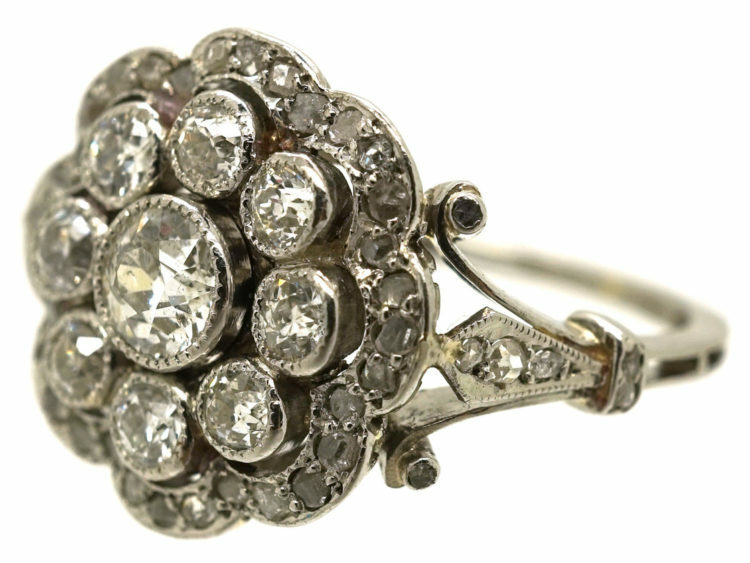 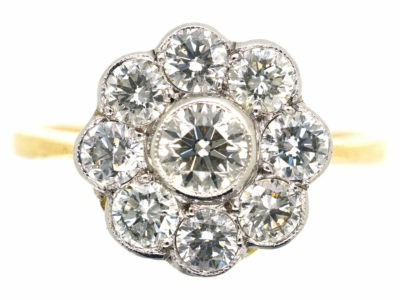 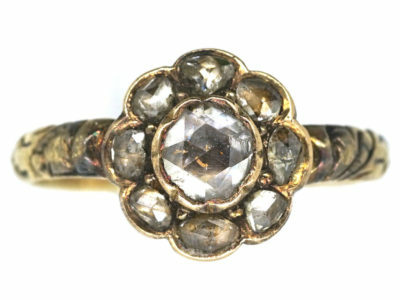 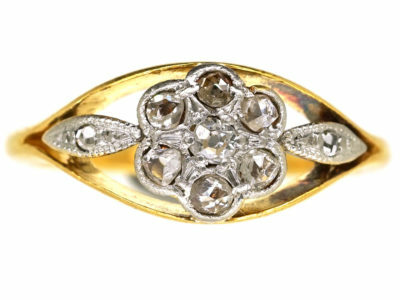 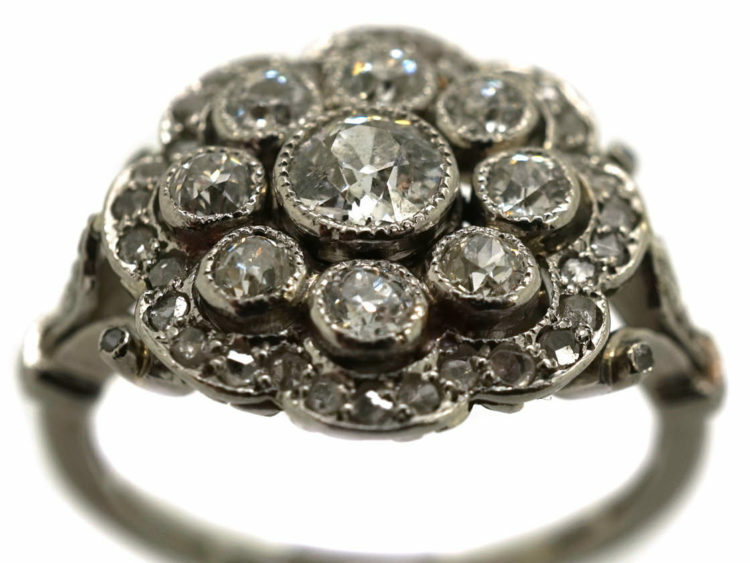 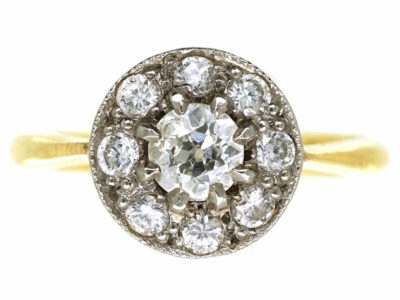 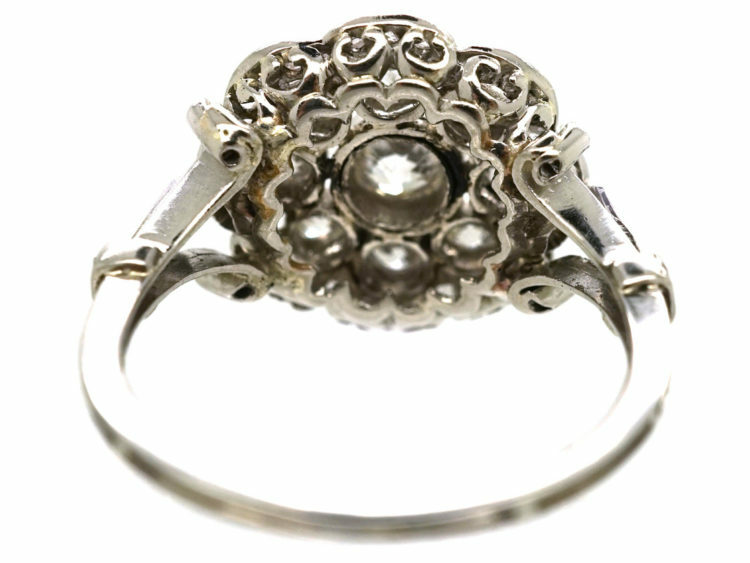 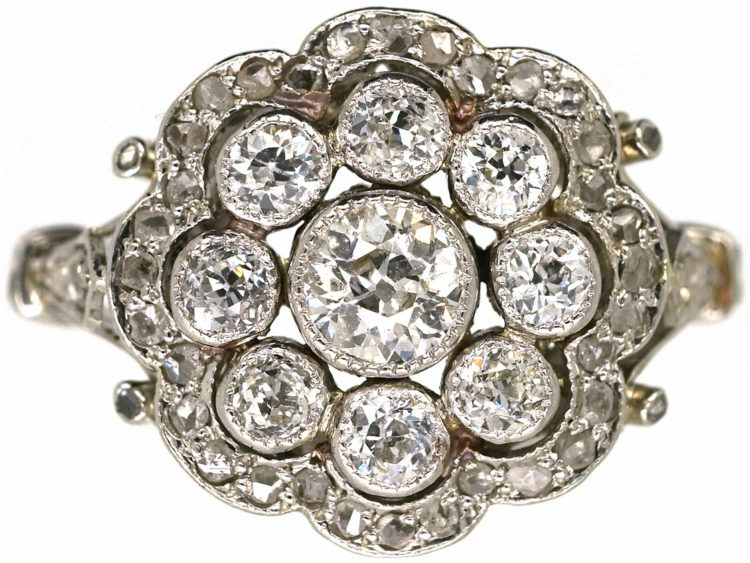 It was made circa 1910-1920 and is set with a central cluster of old European cut diamonds in millgrain settings. 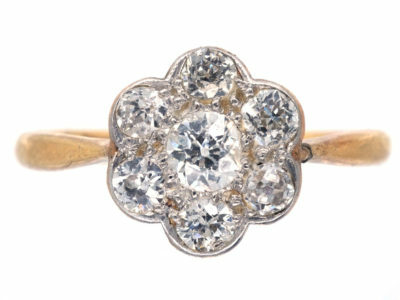 The literal translation for millgrain, a french word, is a thousand grains. 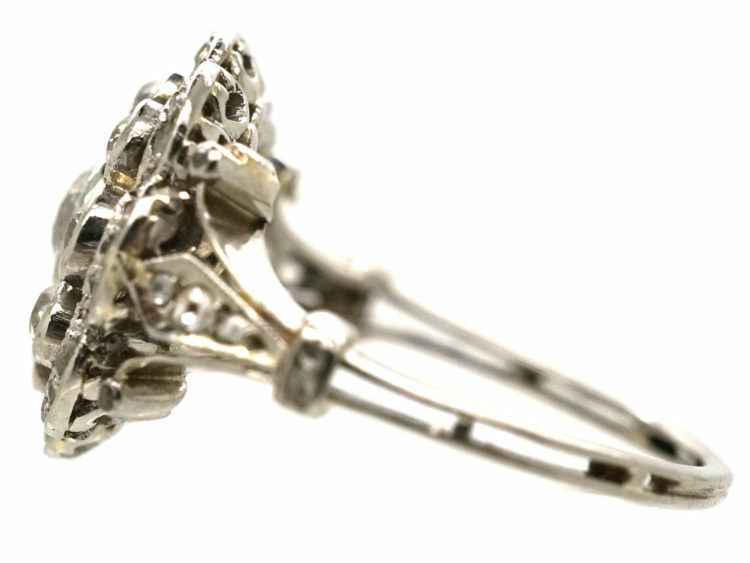 When used in jewellery it refers to a decoration on the edges of the surface and is achieved by using a knurling tool. 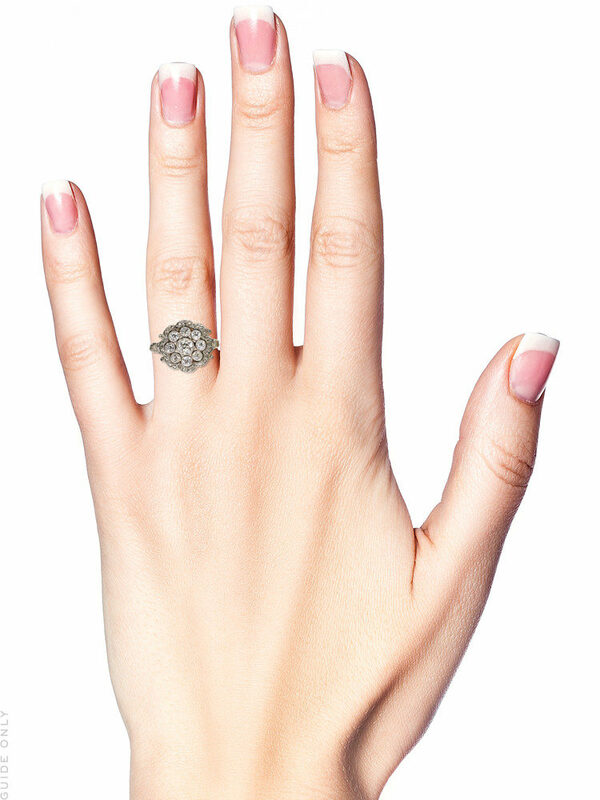 This adds extra detail to the ring. 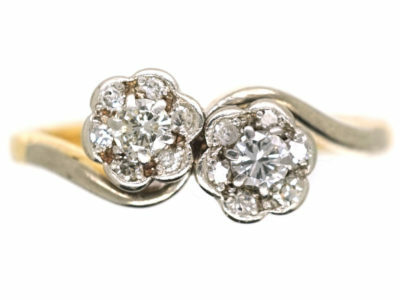 Around the edge are rose diamonds in a scalloped design with split shoulders that are also set with rose diamonds. 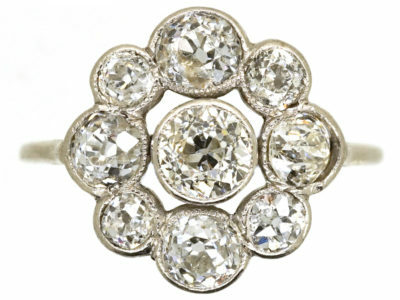 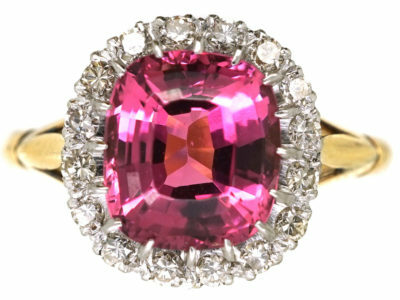 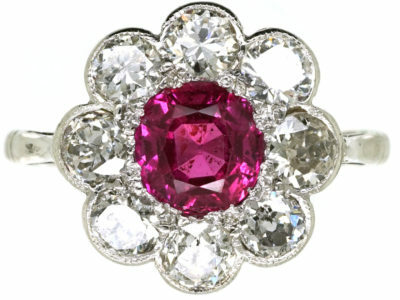 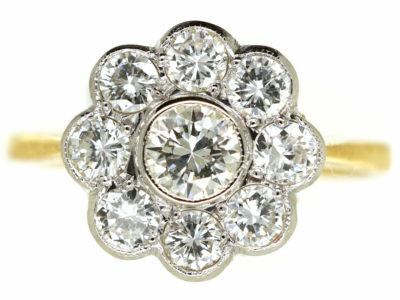 It is a beautiful ring with good bright white diamonds, and would be ideal as an engagement ring.